1. 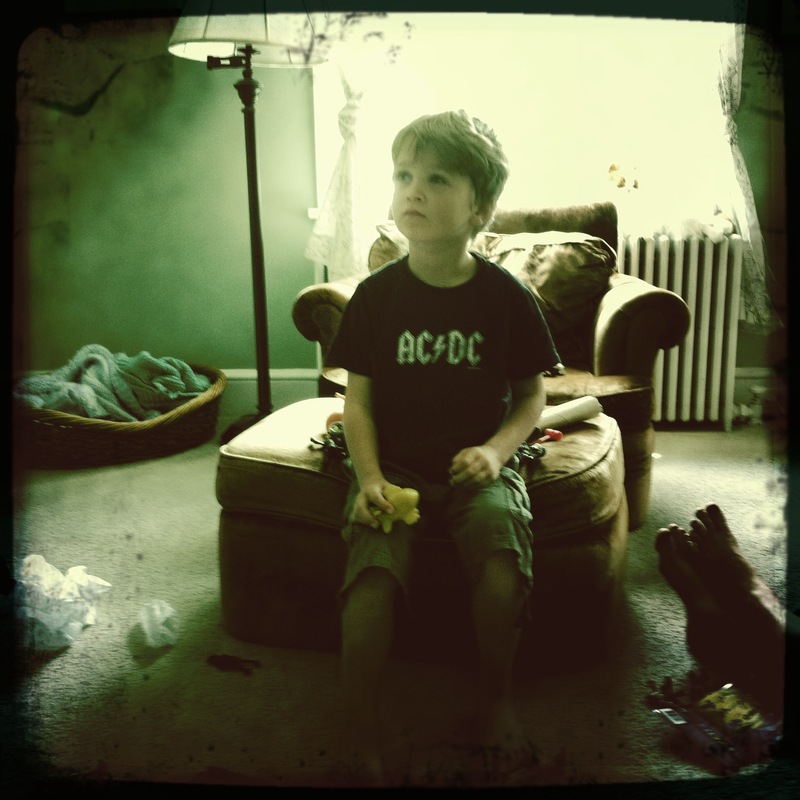 Angus on his Birthday – My nephew watching a DVD after opening the gifts I brought him. 2. 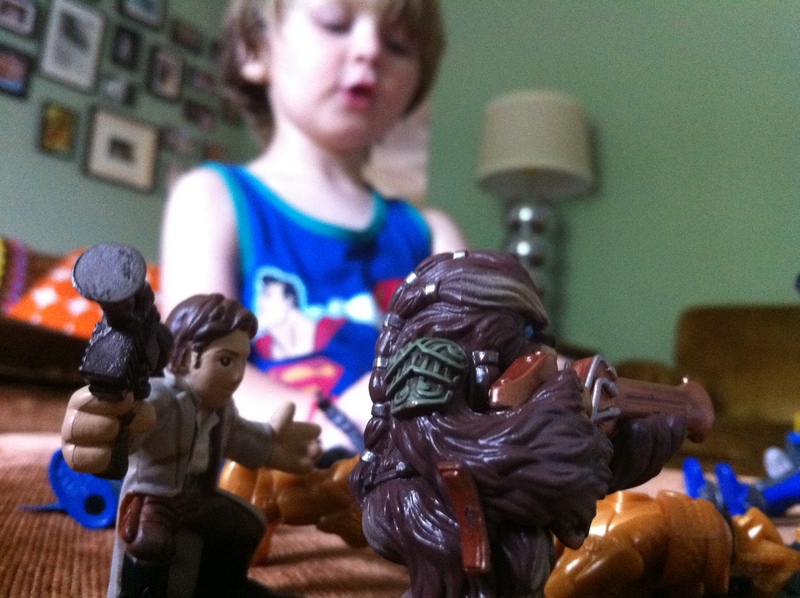 Noah playing with his Star Wars toys. 3. 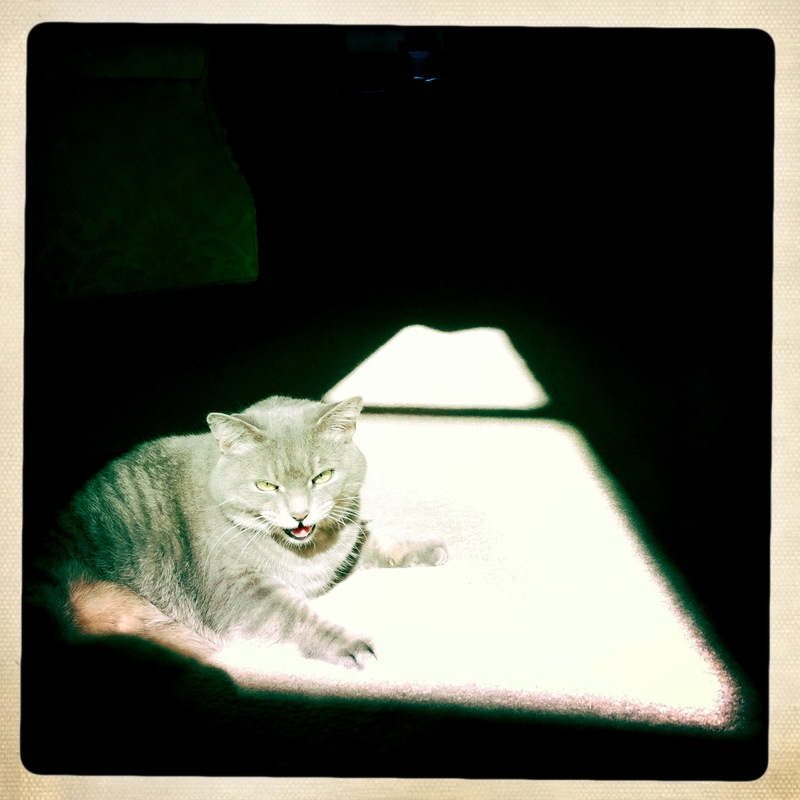 Ripley enjoying her spot of sunlight. She does look like she is really pissed in this pic but she was really just kicking back and enjoying her little spot of warmth. 4. Ripley on her perch at sunset. 5. 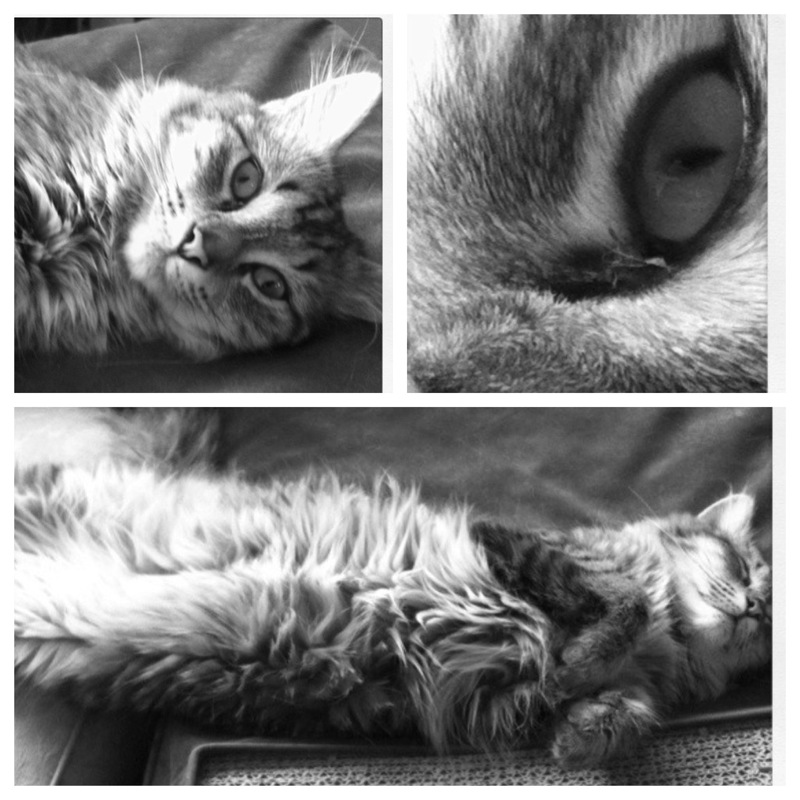 Newt relaxing on a lazy Sunday. 6. 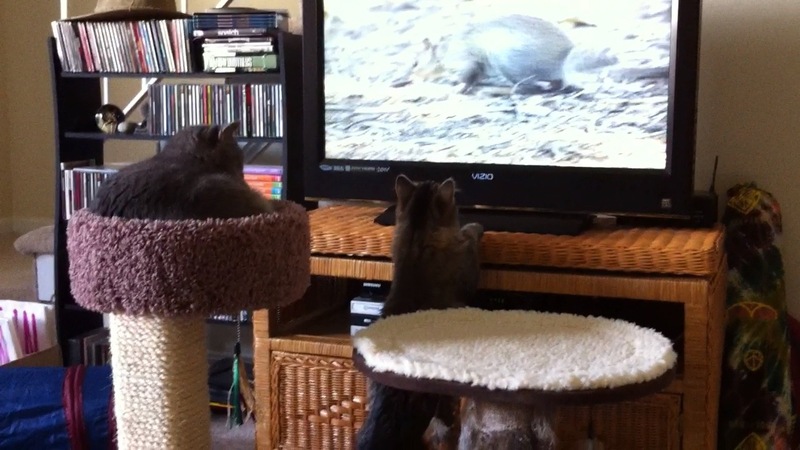 Ripley and Newt chasing squirrels on the TV while watching their new Cat DVD. 7. 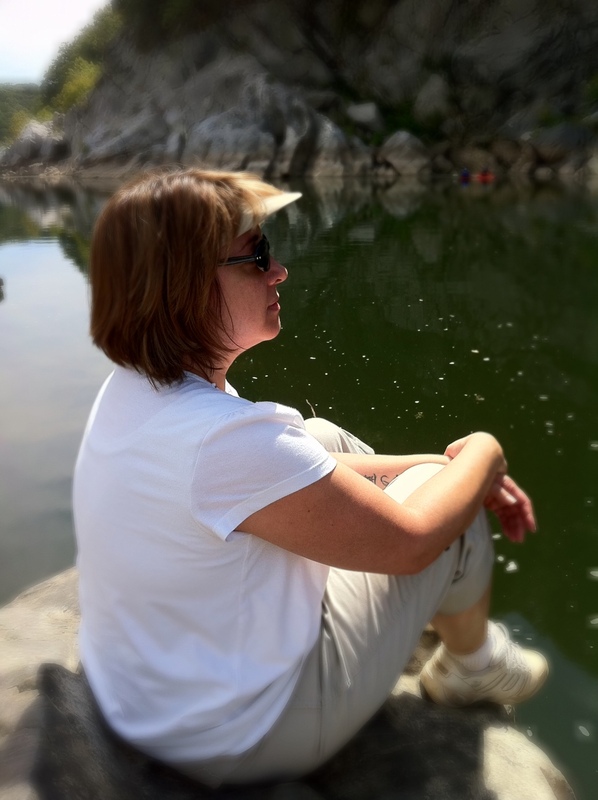 Deb enjoying a break during our hike around the Billy Goat Trail. 8. 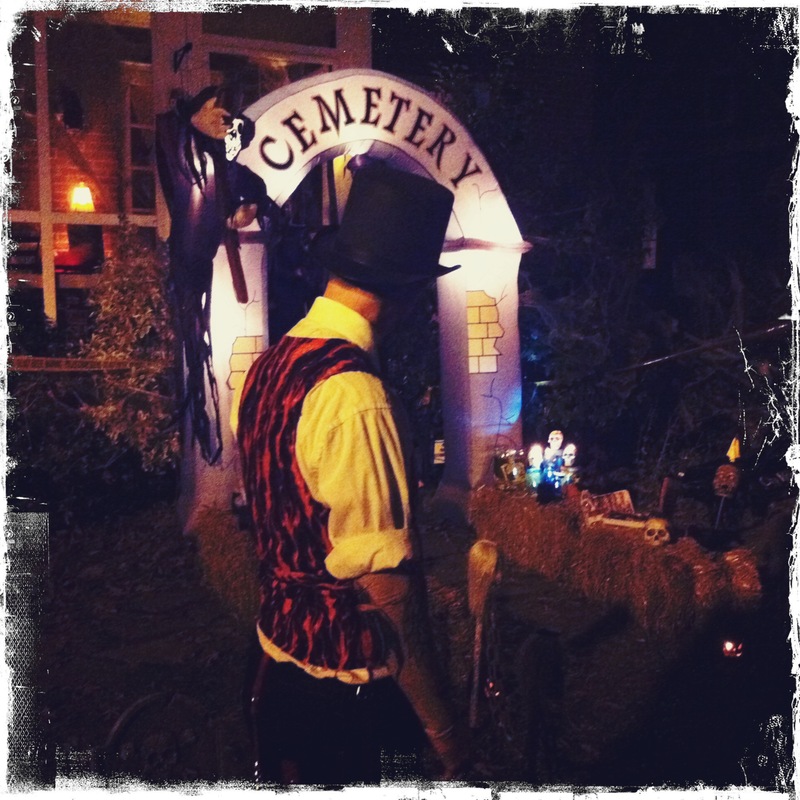 P admiring his handiwork and waiting for the kids to show up for Trick or Treating on Halloween. 9. At The Legwarmers show. 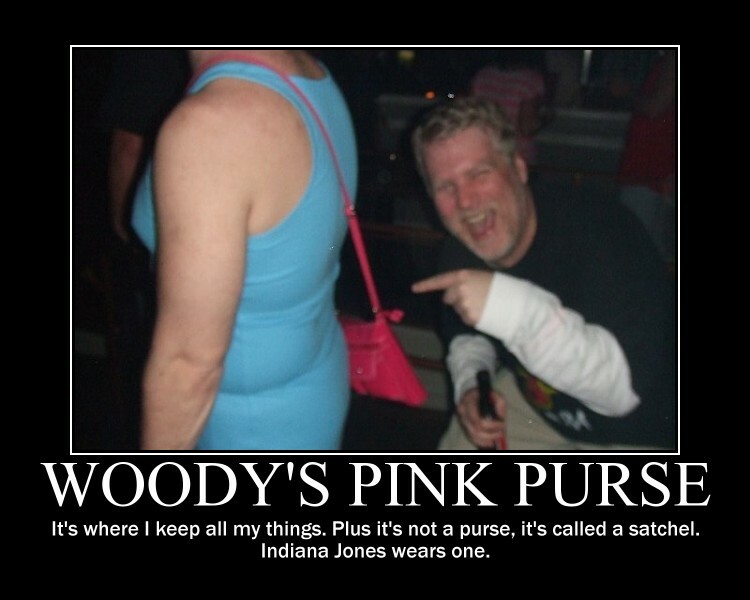 Woody was dressed as Richard Simmons and in this pic he was holding his girl’s purse. Couldn’t resist getting this pic. As if you couldn’t just tell from the pic…i was a bit drunk and really having a great time making fun of Woody here. 10. 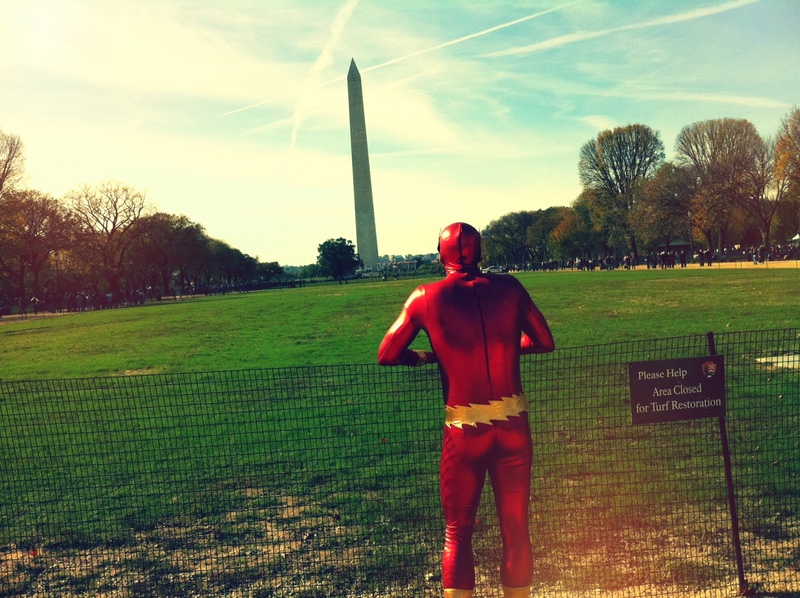 While at the Rally to Restore Sanity/Fear I caught this pic of The Flash while he was taking a break from fighting villains just long enough to admire a view of the Washington Monument. I think this is probably my favorite picture of the year. 11. 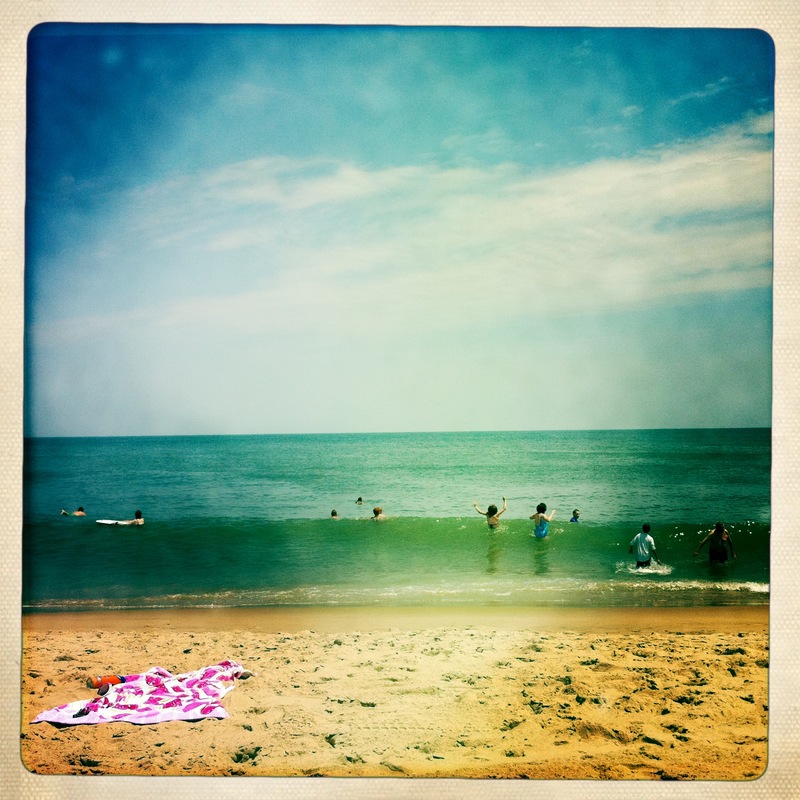 This one was from our last day at Dewey Beach during the summer. Just held up the Iphone and snapped a quick pic before heading up and to the house to pack up and leave. The pic turned out pretty good for the really lazy way that I snapped it. 12. 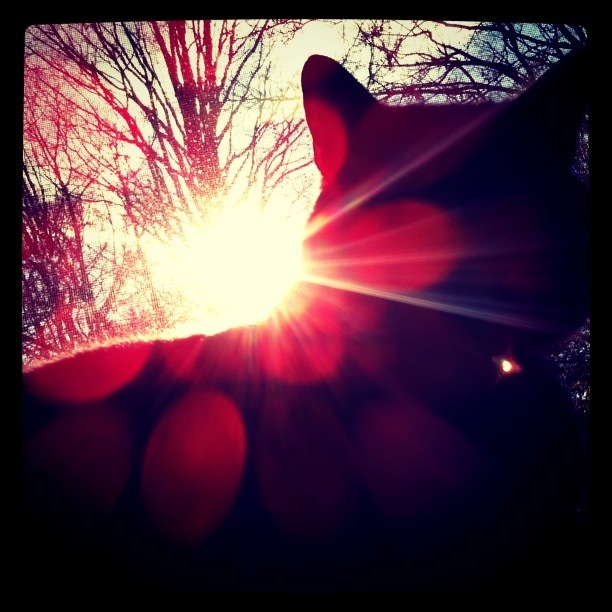 Another accidentally cool shot. Deb and I were down in Del Ray just out to get a bit of breakfast and walk around at the craft fair when I saw the two women standing in the middle of the street with signs that cracked me up. 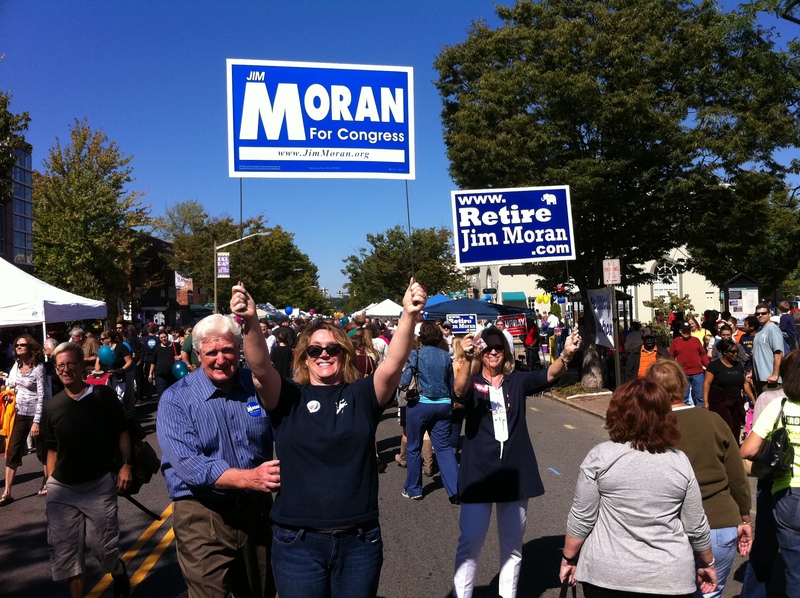 I was just trying to get a pic of the two of them when Jim Moran walked up and got into the pic. Love it. 13. 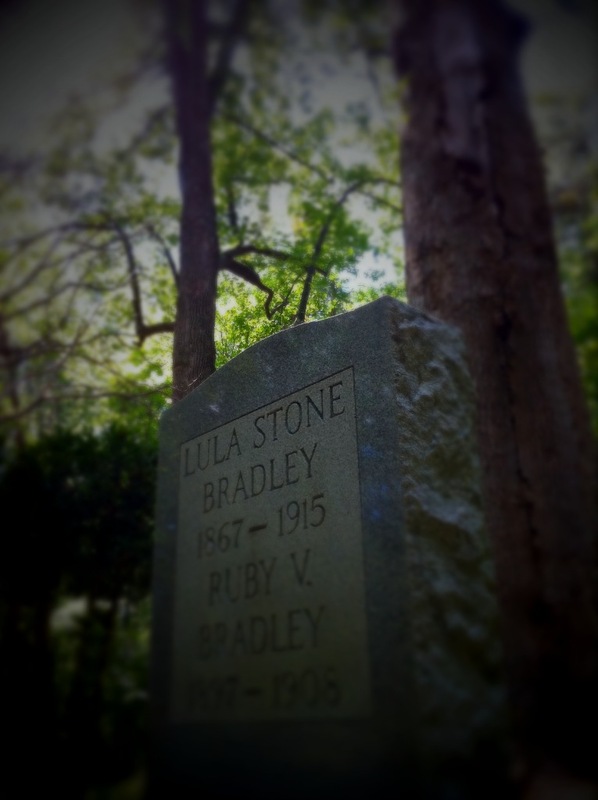 On a hike around the trails at Fountainhead we came across this small graveyard. It was kind of spooky but we hung out and took a bunch of pics. 14. 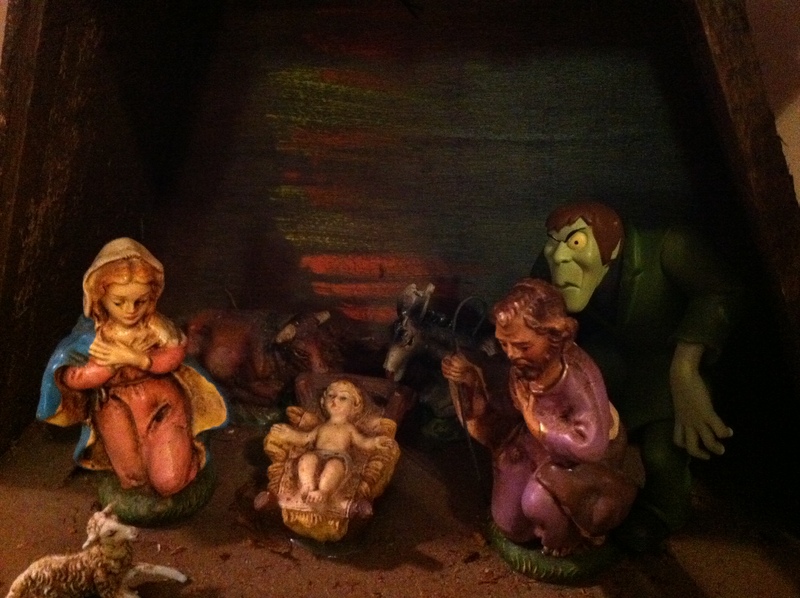 The Creeper visits the Manger. While the nephews were up visiting at Grandma’s house I took this little sacrilicious gem. Gotta love Scooby Doo toys. 15. 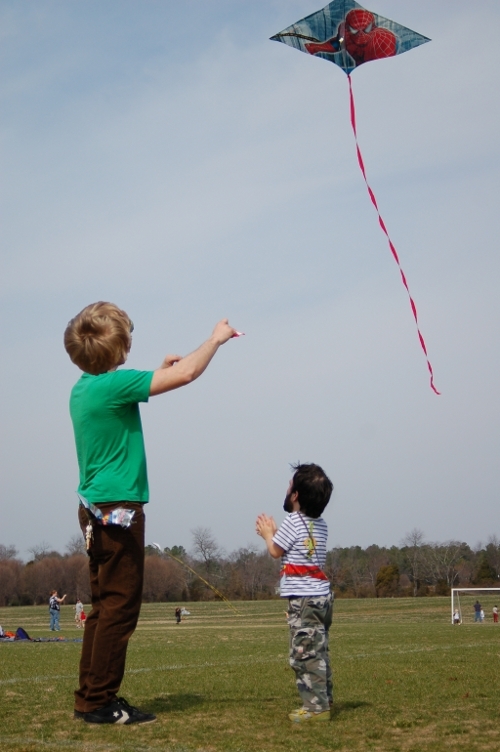 While I didn’t actually take the original pic of my brother-in-law and Angus flying a kite I did really enjoy chopping this one up. Definitely my favorite chop of the year so I had to add this one. I already have a few pics from the Winter Classic weekend for my faves for next year. 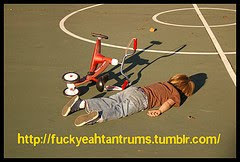 I hope I have a ton more to go through at the end of 2011.